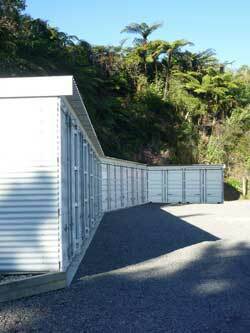 Monsta Storage offers secure self storage units, and our central New Plymouth location keeps the process simple. Our storage facility is fully fenced so you can feel safe in the knowledge that your belongings are secure with us. All of our storage units have double doors with lockable handles and the facility is secured with an access code, so your self storage unit can be accessed 24 hours a day, 7 days per week.